Main level living in this Salishan home that is Pacific NW in style, rendered as a condo. Upgrades in the LR, DR, and Kitchen include hardwood floors, granite counter tops & custom cabinetry, and vinyl windows throughout the home. Most recently; a new garage door and new tile floor in the 2nd & 3rd baths. Galleria entryway, private patio courtyard, and a double garage make this a very comfortable home. 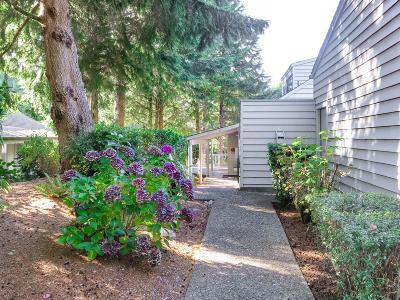 Well maintained structure, beautiful grounds, and access to Salishan beaches are included. Upcoming road assessment beginning in 2019.